includes shipping within the continental U.S. 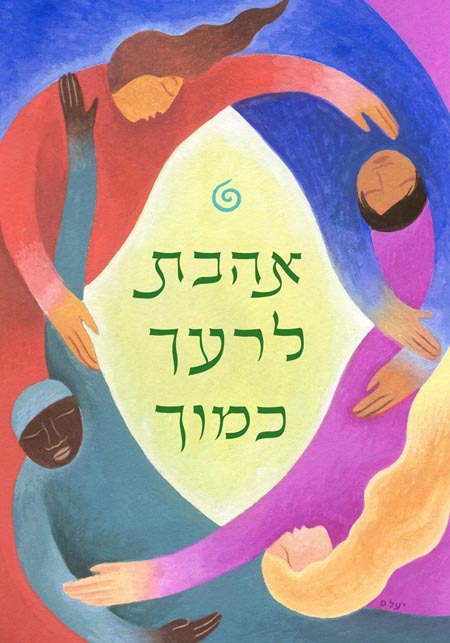 This card says Love Your Neighbor as Yourself (Ahavta L're'acha C'mocha � Lev. 19:18) in Hebrew on the front and in English on the inside.